Photo of the Week.. 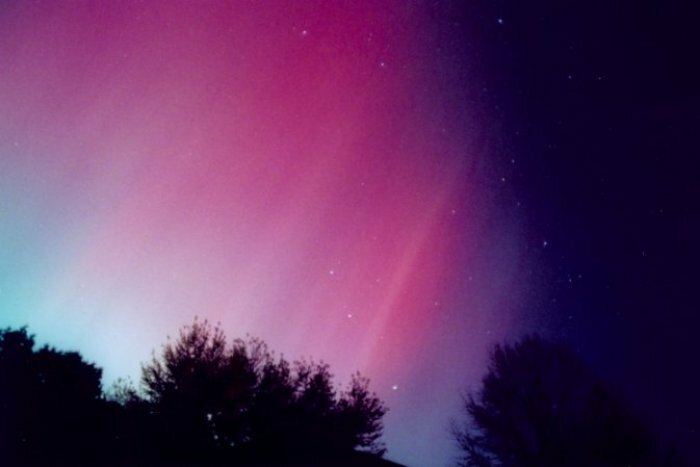 The wonderful auraural -- northern lights -- display of November 7, 2004, fills the sky with electrical color. Gemini, Saturn below it, rises at lower right. See another view. Astronomy news for the week starting Friday, November 19, 2004. Since last week fully held the waxing crescent Moon, this one holds the waxing gibbous. First quarter took place around midnight as Thursday the 18th turned to Friday the 19th to begin our week. The Moon will then pass its full phase during the day on Friday the 26th, and will rise just short of full -- and therefore just before sunset -- the night of Thursday the 25th. At the beginning of our week, Friday the 19th, the Moon also passes south of Uranus in Aquarius. With the Sun approaching the Winter Solstice in Sagittarius, the fattening Moon will be climbing the northern part of the ecliptic, giving us plenty of bright Moonlight later in the week. Saturn, in eastern Gemini, is now seriously encroaching on the evening scene. Rising around 8:30 PM, it stands high to the east at midnight. This is also a week for Mercury, which reaches its greatest elongation to the east of the Sun on Saturday the 20th. The apparition is not very good, however, as the little planet will still be very low in southwestern evening twilight and will be quite difficult to find. Even with such evening activity, the morning sky remains undefeated, as it still holds the twin glories of Jupiter and Venus, Jupiter much the higher at dawn, Venus the brighter. With Jupiter rising ever earlier and Venus (preparing to swing in back of the Sun) rising later, the two are separating fast, the giant planet now rising just before 3 AM, Venus not until almost 4:30. By the end of the year, about the time Jupiter makes its passage into the evening sky, Venus will be rising as twilight begins to lighten the eastern morning sky. As the Moon brightens, the stars seem to fade away, overwhelmed by Moonlight. The brighter ones are still there to view, however. 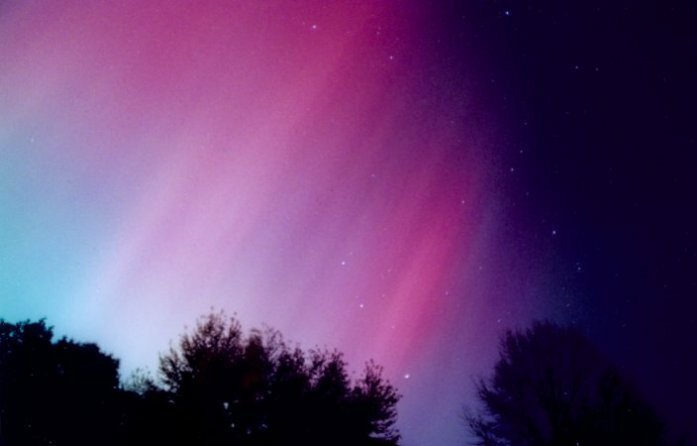 By late evening, Orion is climbing the eastern sky with stars bright enough to withstand the Moon's glow. Then just an hour after Saturn rises, so does Sirius (in Canis Major), the brightest star of the sky, which makes it the champion twinkler as well (the twinkling effect caused by the Earth's turbulent atmosphere). Look to the northwest of Orion to find Taurus with its Pleiades and Hyades star clusters, and to the northeast of him to Gemini and back to Saturn. Obscure constellations seem to fade away, lost to moonlight. Among the least of these is a jagged row of stars that passes nearly overhead for mid-northerners and that make Lacerta, the celestial lizard, which finds itself surrounded by Cygnus, Pegasus, and northern Andromeda, the row pointing northward to Cepheus and the famed variable star Delta Cephei.